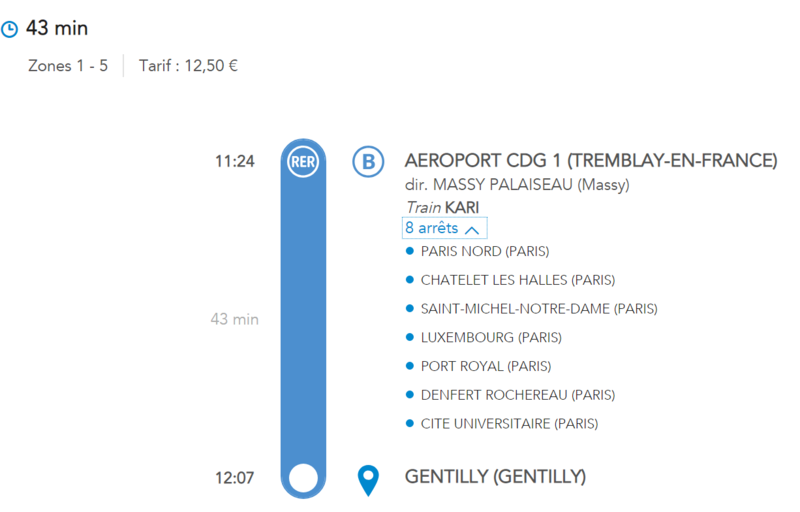 How do I go to Gentilly from CDG? The RER B from CDG Airport (either CDG Airport train station serving Terminal 1/3 or Terminal 2) travels directly to Gentilly station. There is also only one direction, towards Paris, which will continue past Paris towards Massy-Palaiseau. Gentilly is the station after Cite-Universitaire.